US Secretary of State Mike Pompeo arrived Thursday in Panama at the start of a tour of the Central American region that President Donald Trump blames for an "onslaught" of US-bound migrants. 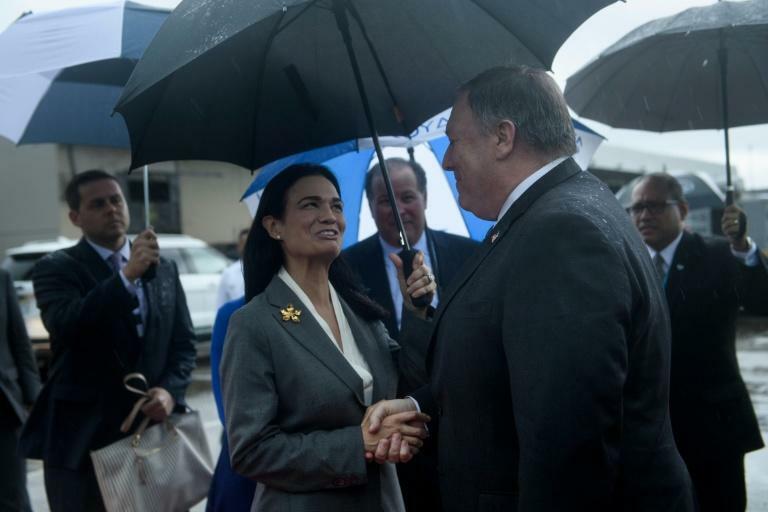 Pompeo, who will head to Mexico on Friday, had talks in Panama City with President Juan Carlos Varela and Foreign Minister Isabel Saint Malo, who is also vice-president. There were no statements after the meeting that lasted less than an hour but officials earlier said illegal immigration would be among the topics for discussion. Pompeo's arrival in Latin America comes amid tensions over a caravan of thousands of Honduran migrants heading through Guatemala to Mexico with the hope of reaching the United States. Earlier Thursday, Trump threatened to send the military to close the US-Mexican border against an "onslaught" of Central American migrants. In a Tweet, Trump called the caravan "an assault on our country by Guatemala, Honduras and El Salvador." On Tuesday, Trump threatened Central American countries with aid cuts if they failed to stop the caravan.